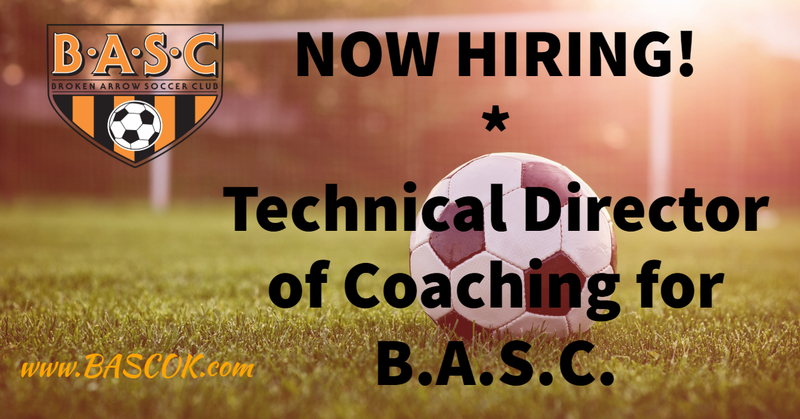 BASC is currently accepting bids for the Technical Director of Coaching position. For bid information and the duties & responsibilities, please CLICK HERE. Application, resume and bid should be sent in writing via email or USPS to Broken Arrow Soccer Club. Email to: info@bascok.com Or mail bid to: BASC, P.O. Box 872, Broken Arrow, Oklahoma, 74013. Application, bid & resume accepted through January 31, 2018. Interviews to begin in February.